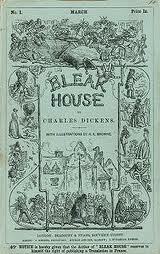 The setting of the Charles Dickens story Bleak House is as complex as the storyline itself, as it continually changes with the various character groupings. This is a topic suggestion on Setting in Bleak House from Paper Masters. Use this topic or order a custom research paper, written exactly how you need it to be. The setting of the Charles Dickens story Bleak House is as complex as the storyline itself, as it continually changes with the various character groupings. The story moves between the city of London and its various suburbs, incorporating various elements of each setting as it moves. The title of the story comes from one element of the setting: Bleak House, a middle-class home that is traditional for many average citizens in the suburbs. Additionally, a featured element of the setting is Chesney Wold, an aristocratic estate that is cold, largely deserted, and believed to be haunted. The difference between the two structures demonstrates the changes taking place in England in the mid-19th century. Aristocracies are becoming less and less prominent, replaced by a growing middle class and a booming lower sector of the population. It is because of this connection between the place and the setting that Bleak House is able to appeal to the reader on a variety of levels. As with any urban setting, the presence of the underbelly can be found in the story as well. Seen through the landscape of Tom-all-Alone’s, the notion of a growing slum was novel to many readers at the time of this story’s publication. While today we associate the city environment with the inevitable slum areas, it was a relatively new concept a century and a half ago. Readers were shocked to learn of the striking conditions there, running the gamut from mere dirt and unpleasantness to rampant crime and raw sewage. Dickens is an expert at conveying a great deal of plot and characterization through his use of setting, and the areas in which the tale of Bleak House occurs is no different. Readers are able to gain insight into the characters’ experiences and lives through the settings Dickens creates, whether they had lived to see the actual areas that inspired the setting or are merely looking back through history.